How fitting that this month’s storycast, “Sylvester and the Magic Pebble,” coincides with the month that we celebrate International Literacy Day (September 8th). 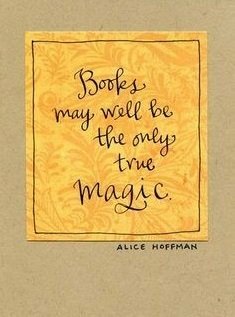 Literacy and magic, methinks, have much in common. Most of us who can read and write take this power for granted, barely giving it a second thought, but for those who do not possess this skill, it might indeed seem like an impossible thing, like a kind of magic to be able to make sense out of squiggly marks on a piece of paper! And of course, one of the most influential books ever written about how best to promote literacy is called READING MAGIC by world literacy expert, Mem Fox. Her main premise in this book, is that literacy comes about not through books alone–but through a book, a child, and an adult. “The fire of literacy is created by the emotional sparks between a child, a book, and the person reading. It isn’t achieved by the book alone, nor by the child alone, or by the adult who is reading aloud–it’s the relationship winding between all three, bringing them together in easy harmony.” –Mem Fox. As some of you know, one of my brothers lives and works in Zimbabwe and many years ago, when we went to visit him there, we spent a day at an orphanage called Makumbi (in the Shona language this word means “wealth of our nation”). As we walked through one of the houses, I noticed there was a book lying on a windowsill–that was the sum of their library–one book–it happened to be a book that I have read for many years to the children at the school where I used to do my storytelling: Mufaro’s Beautiful Daughters. But of course, my point is, we who have so many books at our disposal do not always realize just how lucky we are compared to people in so many parts of the world. Doris Lessing, who, at age 88, was awarded the Nobel prize for literature, spent her childhood in Zimbabwe and in her acceptance speech she lamented the fact that the children in Zimbabwe are starved for knowledge, while those in privileged countries shun reading for the inanities of the internet. A good paperback from England used to cost a month’s wages in Zimbabwe, now it costs several years’ wages. Her friend taught himself to read from labels on jam jars! Three Stories a day = a thousand stories in one year. Ideally, the three stories should be one favorite, one familiar, and one new, but you can also read the same story three times.